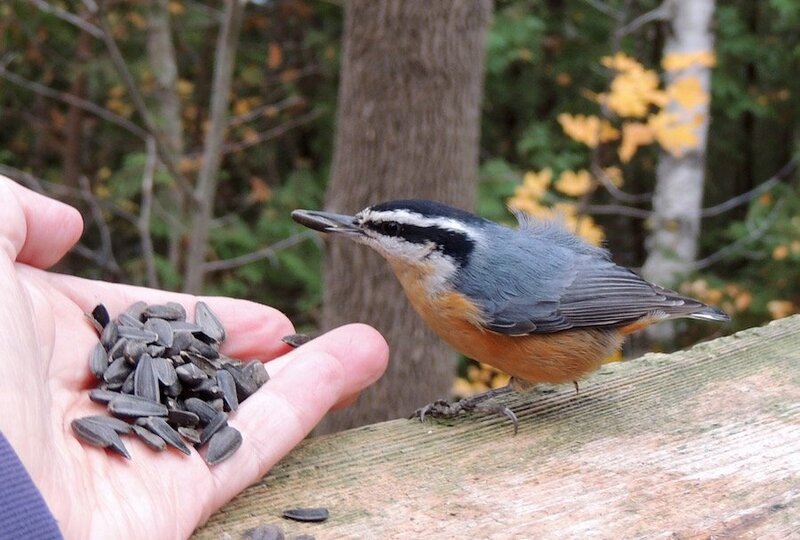 The nuthatches, both red and white breasted, are very friendly this year! Look at that! He's not afraid! That's amazing! We see them in our garden every now and then. Aww what a cute shot! Amazing capture. Were you feeding with one hand and snapping the shot with the other? @skstein thanks Sandy! Yes, the joys of a smaller camera. Heart warming shoot. My FAV. Amazing that you were able to get so close. My birds are much warier.